to become independent, principied, self-confident and inquisitive future citizens. "Love, Learn & Live" are three words that represent the whole scenario of the Bright Minds Education Private Limited & Bright Mind Education Society. 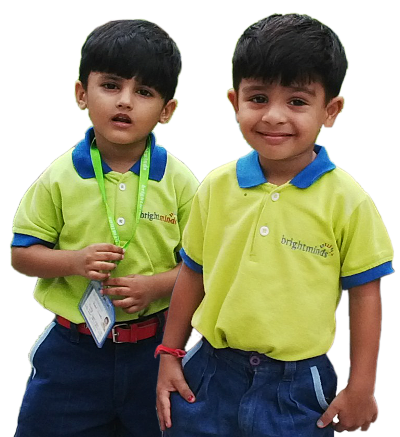 Bright Minds Education founded with a vision of world class quality education all over India. Bright Minds refers to early childhood and formal education which is a phase of introducing children to fundamental learning through the use of a medium that is engaging, less straining and more recreational in nature. Bright Minds believes each child should receive quality care and be provided with a developmentally appropriate education. We believe that all children and families should be treated with respect and kindness. We will always appreciate family, cultural, and individual differences. We believe with the combined efforts of parents, educators, community and students, all children will succeed intellectually, physically, emotionally, and socially. To help in this effort, staff will provide support and resources for families.